Alright! so finally Gods seem to help the brave :). It was challenging to convince partners (Coaching Institutes) that they need to partner with us. 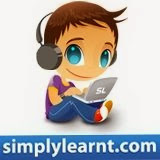 But, with the CAT going online, I have already got five calls from folks wanting to put their content for SimplyLearnt and on their website as well. We will be soon launching a comprehensive Mock CAT series with one of the partners and a complete CAT preparation course with another one.